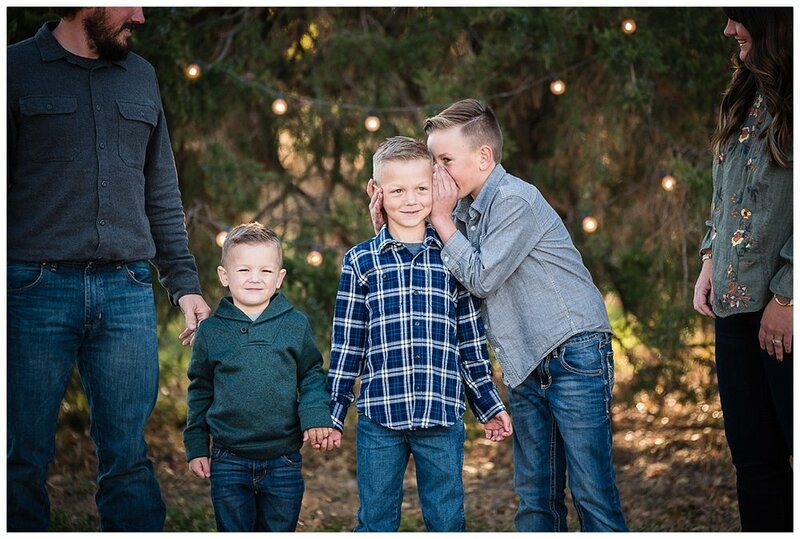 I first met the Aspregren’s last year for their family photos and I was so happy to see them again this year! They added a new baby to their already busy family and he is the perfect addition. The Aspregren’s love hanging out together in the evening, especially around sunset time. Teri mentioned that all the kids love riding their four-wheelers around and I can relate to that! If it’s nice outside, the wheels are turning around and around the yard. Of course, it was fall when I took their photo, so their favorite things are: hot chocolate, football games, and volleyball games. Small town life at it’s finest! The good thing about being a slow blogger is that I always have something to blog about when I have time! :) It was so fun to meet this sweet family last fall - and on their oldest kid's birthday! If I would've known ahead of time, I would've brought cake. Yum. The Johnson Family called and asked me to fit them in last minute - I was so glad that I had an opening for them! We met at Mormon Island and it worked out perfectly. Grandma did have to bribe her grandchildren with cinnamon rolls, but I'm pretty sure those cinnamon rolls were worth a smile! This session was amazing though; I've known Amy since we were young and it was fun to catch up and meet her little ones (who actually aren't so little anymore!). We played and explored and convinced the kids to smile for at least a little bit. I wanted to do a few photos of just Kendal and Meghan - they are always super cute together! Here, I asked them to whisper their favorite dessert in their sexiest voices...I loved the reaction! Their daughter is adorable and she is now the greatest big sister to her little brother! It is so important to take photos of the entire family when everyone is together - especially when it doesn't happen that often! Sarah contacted me when her parents and sister from Michigan were going to be in town. We had a fun evening taking lots of photos together! Andrew & Sarah's son is in my daughter's class - it was so fun to see him being nice to his sister and so helpful, too! I can't believe these kids are turning five already! Here are a few of my favorites from their (hot!) session! I've been bugging my husband about putting in new grass for the past year. I do quite a few photo sessions at my house and it just felt wrong to have an entire yard full of weeds. We've finally decided to tear everything out, do some dirt work, and have a nice pretty new lawn put in. And....now I'm second guessing that decision after seeing the magic that is dandelions! Would it be weird to purposely plant a field of dandelions? These two were super cute together and I loved watching their smiles and laughter (that is, when they weren't trying to play with the kittens and my daughter instead of posing for photos!). 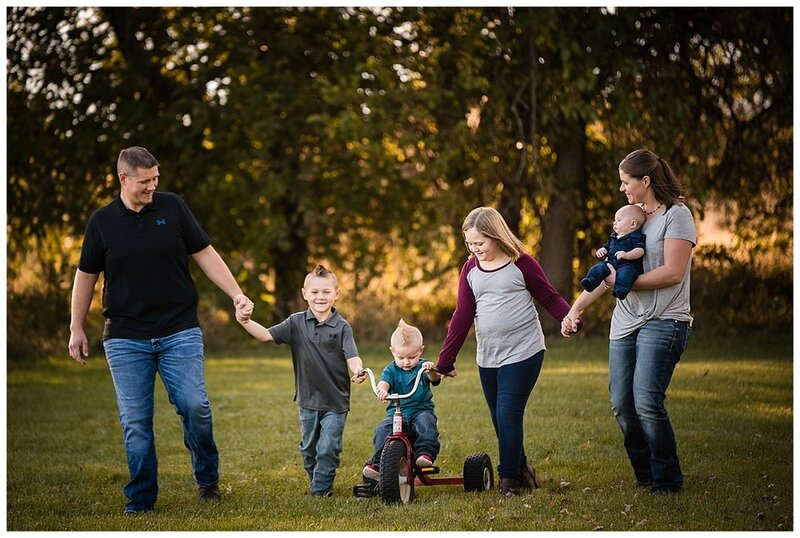 The Panko family could not have had a more perfect day for their family portrait session! The evening was beautiful - only two days later, the weather turned cold. I'm primarily a documentary/lifestyle photographer, but I also understand how important family portraits are. I hesitated a bit when Lacey asked me to do photos for their Christmas cards, but once she mentioned chickens and a vintage couch in their pasture, I was all in. 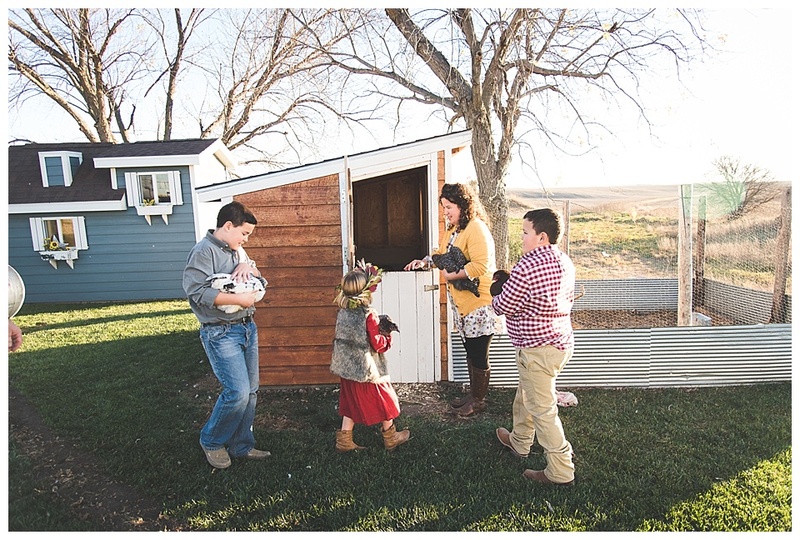 The family has the cutest little chicken coop and their chickens were so calm! Lacey wanted portraits of the kids with their chickens and they behaved so well - both the kids and the chickens. The cat and the dog thought that they needed to be part of the fun too! 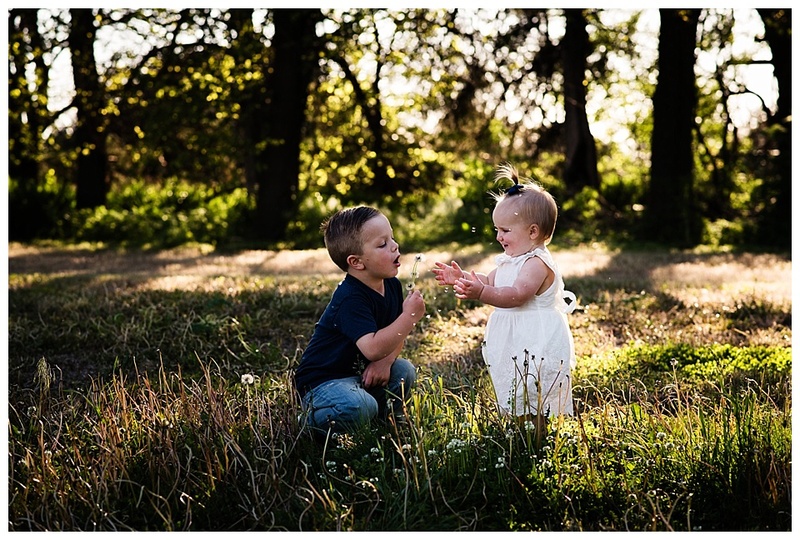 I love sessions like this - gorgeous light, laughter, and a bit of unexpected-ness!